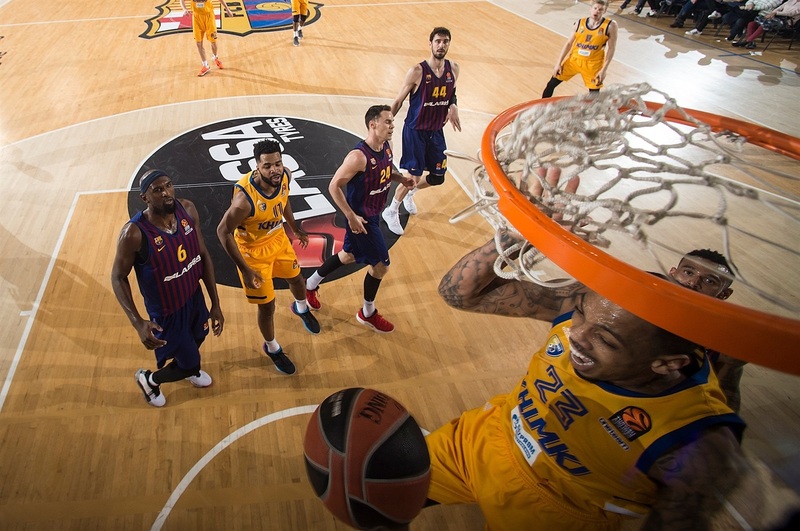 FC Barcelona Lassa won its dress rehearsal for the playoffs by fending off Khimki Moscow Region 83-74 in the final regular season game on Friday. 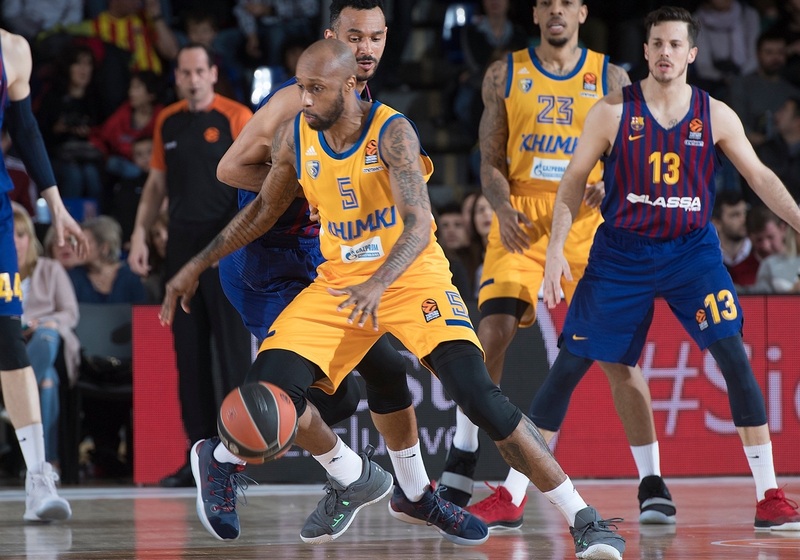 Barcelona allowed just 42 points in the final 30 minutes after watching Khimki score 32 in the first quarter. 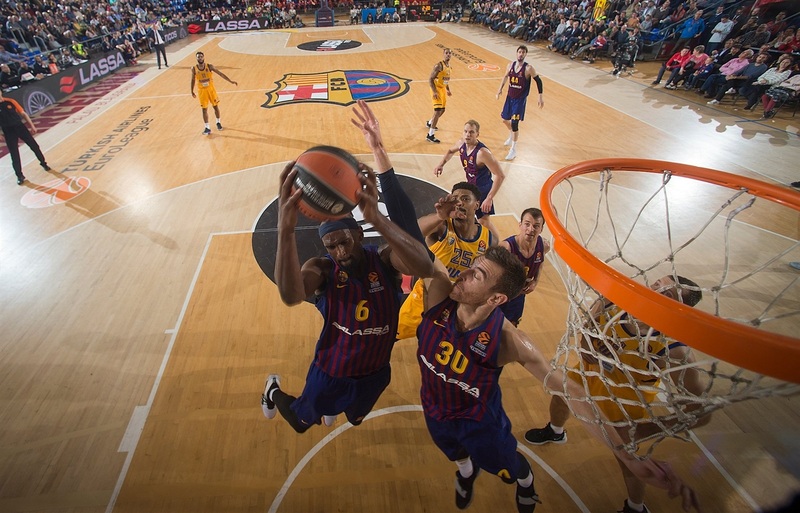 Pierre Oriola led the way for Barcelona with 14 points, Kyle Kuric had 13 and Ante Tomic and Adam Hanga both tallied 12 points as the Spanish side won its sixth straight home game to finish with an 18-12 record. Barcelona had already clinched fifth place and a playoffs spot. Khimki ended its EuroLeague season by losing its final eight games for a 9-21 record for 13th place. Sergey Monia and Charles Jenkins both scored 13 points while Andrey Zubkov hit for 11 points and Andrew Harrison added 10 points and 4 assists in the loss. 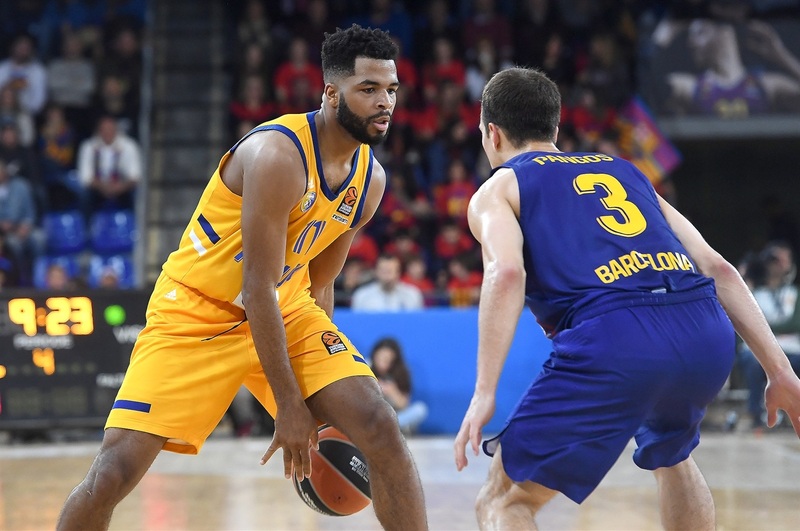 Chris Singleton's three-pointer gave Barcelona its first lead, 3-2, but Zubkov had a great start for the guests with 7 points as Khimki led 5-10. 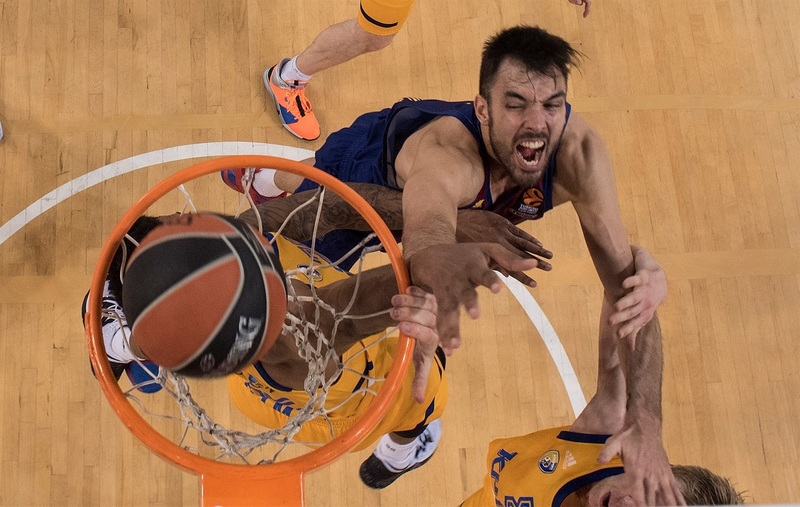 Tomic scored twice and Kuric hit a triple to put Barcelona up 12-10 before the Khimki shooters heated up. Harrison nailed 2 three-pointers and Malcolm Thomas and Jenkins both hit one each in a 9-22 finish to the first quarter and a 21-32 lead for Khimki. Harrison's next three opened the second quarter. Hanga and Oriola answered for the hosts, trimming the gap to 26-36. Khimki hit the next 5 points with Jenkins detonating a fastbreak dunk and pushing the advantage to 26-41. 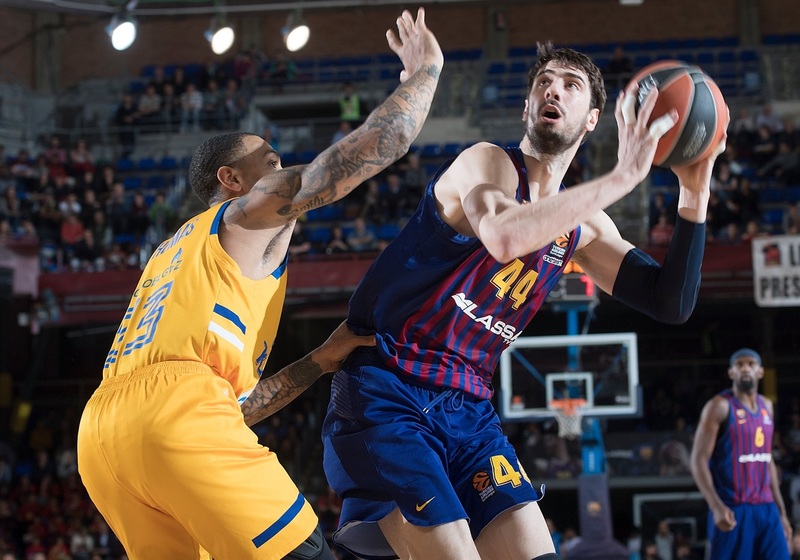 Barcelona was finally able to get some defensive stops while Victor Claver had 5 points and Oriola added a pair of baskets in an 18-0 run to pull ahead 44-41. Thomas put back a miss to end the 6:39-minute scoreless drought and Khimki trailed 44-43 at the break. Jaka Blazic kept up Barcelona's momentum with the first 5 points of the second half for a 49-43 lead. The hosts' offense stalled for the next 6 minutes and Khimki pulled back ahead 49-54 thanks to 4 points from Jordan Mickey and three-pointers from Jenkins and Monia. 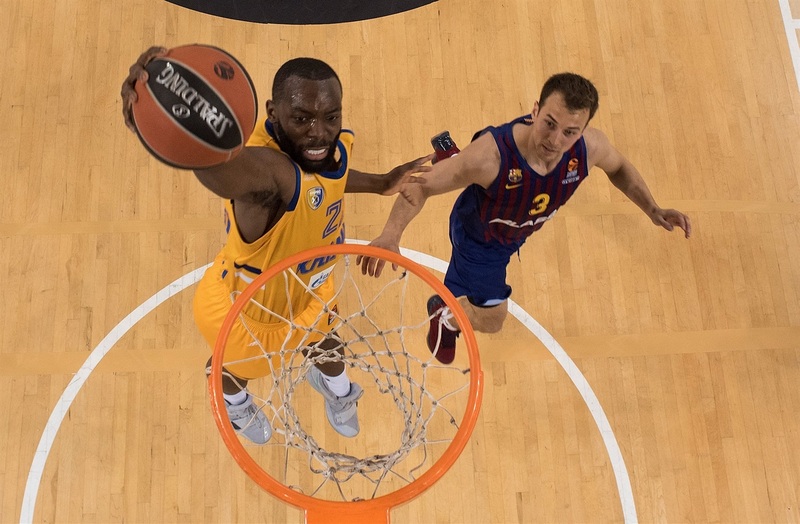 Thomas Heurtel and Roland Smits combined for 3 free throws but Hanga's tough layup was the only basket for Barcelona in the final 8:46 minutes and Khimki was leading 54-58 after 30 minutes. 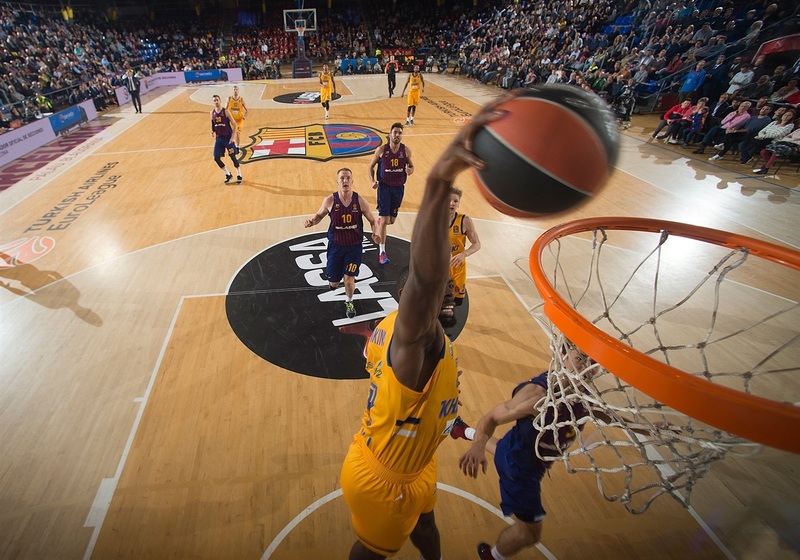 Barcelona had a strong start to the fourth quarter, thanks also to an unsportsmanlike foul by Harrison, with Oriola hitting the 2 free throws and Kuric following with a three-pointer and Kuric's dunk after a Hanga steal made it 63-58. 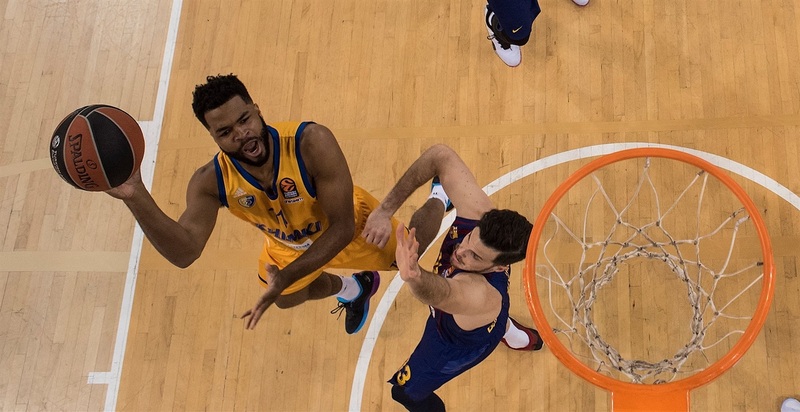 Monia responded with 2 three-pointers and Khimki was back up 65-66. 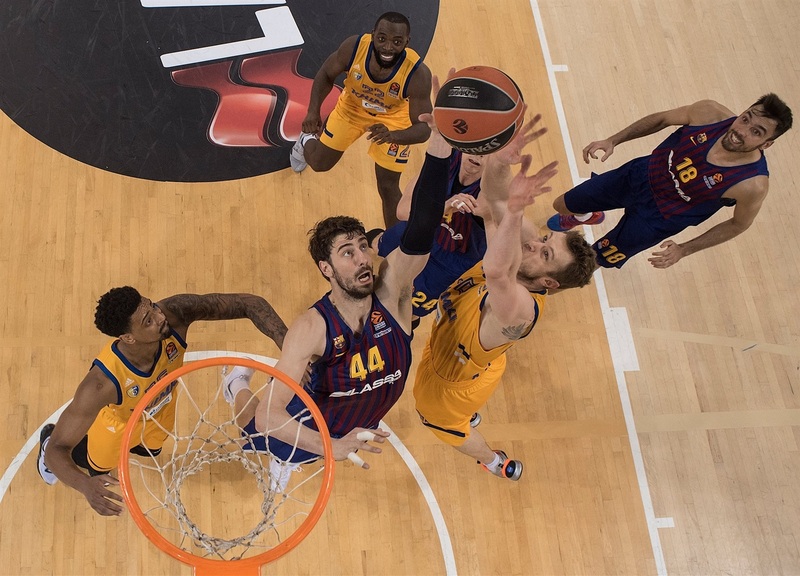 Hanga sparked a decisive 14-2 surge with a three-pointer, a steal and a dunk as Barcelona went up 79-68 with 3 minutes to play. Khimki managed the next 6 points to make it a five-point difference but Oriola knocked down 2 free throws with 53 seconds left and Heurtel ended all the visitors' hopes with a tough layup with 19 seconds remaining. Sergey Monia picked up a season-high 13 points to go with 6 rebounds and 1 steal in his 200th EuroLeague appearance. 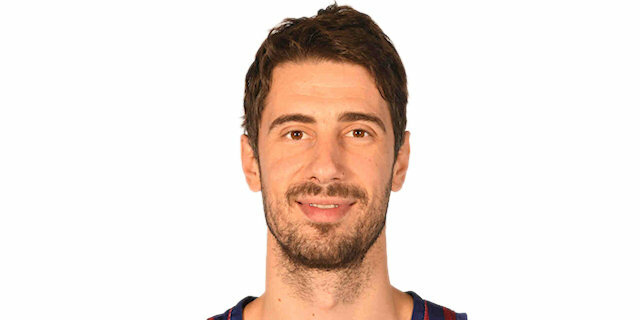 The 35-year-old Russian is one of 43 players with 200 games played in the EuroLeague, having lined up for CSKA Moscow, Dynamo Moscow and Khimki. Monia also has played in 104 games in the EuroCup. 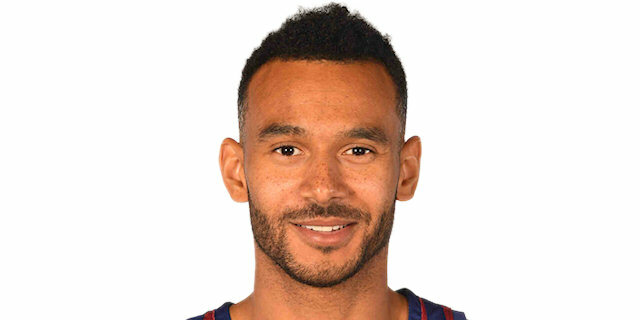 Pierre Oriola came off the bench and really produced for Barcelona with 14 points on 6 shots from the field and 6 perfect free throws. He also had 2 rebounds, 1 assist and 2 steals. 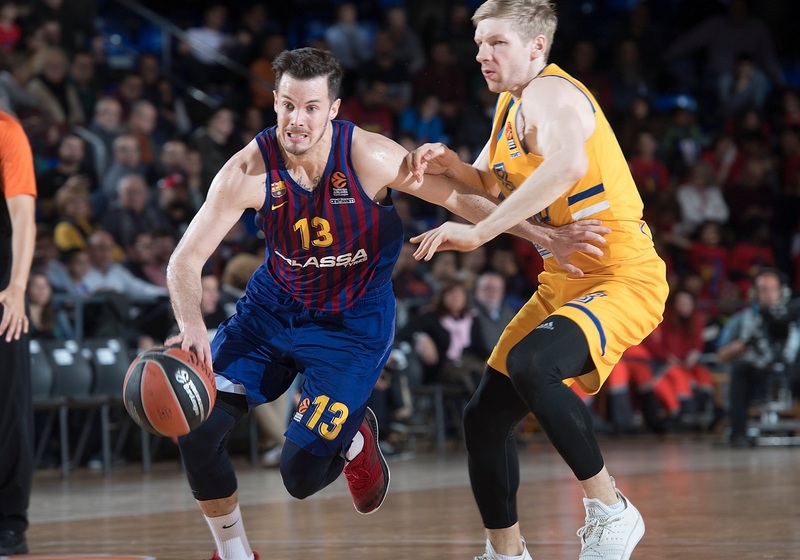 Barcelona hit 23 of 35 (65.7%) two-pointers and 13 of 14 (92.9%) free throws while Khimki was held to 16-for-32 (50.0%) two-point accuracy and downed just 9 of 16 (56.3%) foul shots. Khimki was unable to use a 19-3 advantage in second-chance points coming off the visitors' 11 offensive rebounds. 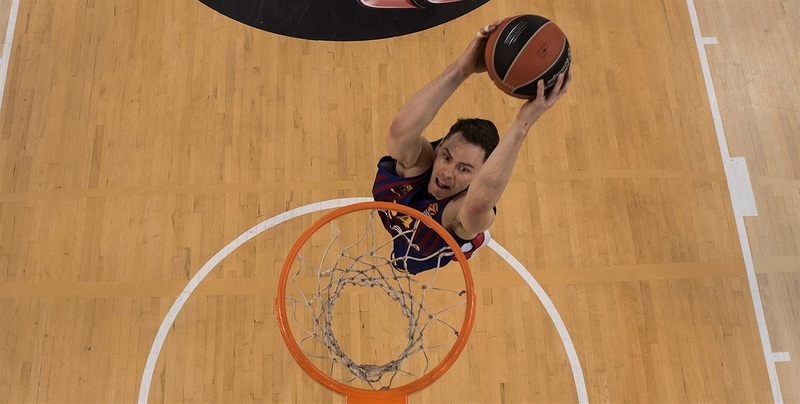 Barcelona will now get ready for the playoffs with a showdown against Anadolu Efes Istanbul. Khimki meanwhile will concentrate on the VTB United League. "We are happy about this victory. We can play very good basketball, but without defense we are an average team. We showed today the rhythm of the game. Khimki had 32 points in the first 10 minutes, and then after that we started to play basketball. Basketball without defense I cannot understand and don't teach this basketball. This is a very good message for the team, that everyone should take more responsibility, more intensity, especially in the one-on-one game on defense. Then we don't have any problem." "I want to congratulate Barca on their good play and nice victory. I want to wish them good luck in the playoffs and for sure I wish for them to be in the Final Four. We had some problems with some guys because we had a tough game a couple days ago with Lokomotiv Kuban Krasnodar. 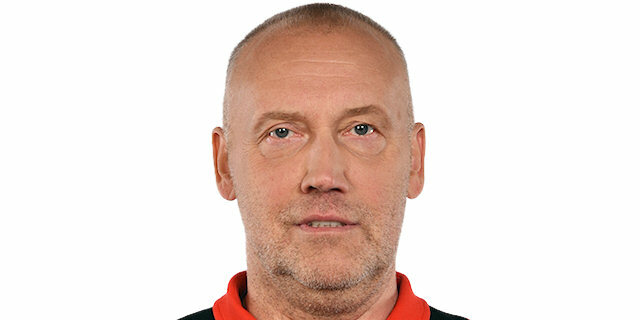 The VTB United League was also very important because we are looking to play in the final, because the final would mean the EuroLeague next season. We are focusing on this. We lost a couple guys against Loko - Stefan Markovic and Alexey Shved - so we were playing today with eight guys and it's difficult to be good with eight guys. We fought well, we were motivated. But you saw that Barca was stronger. They are a better team than us at the moment." "We didn't play our game today, especially in the first quarter. We let them play their game and we didn't play our defense. We definitely have to improve in these situations. Obviously, the game did not decide anything but still we are preparing ourselves for the next couple of games. It's nice to be in the playoffs. Obviously, last year we didn't have a chance. This year we improved a lot. We were more balanced this year. We played much better, especially at home. It's just the first step. It was our goal from the beginning of the season to make the playoffs, but we are still hungry and we will keep working to make the Final Four." "It means a lot for this club, especially after two bad years, to be in the top eight again. We played against [Anadolu Efes Istanbul] two times this year: we won here, they won there. Very good team. 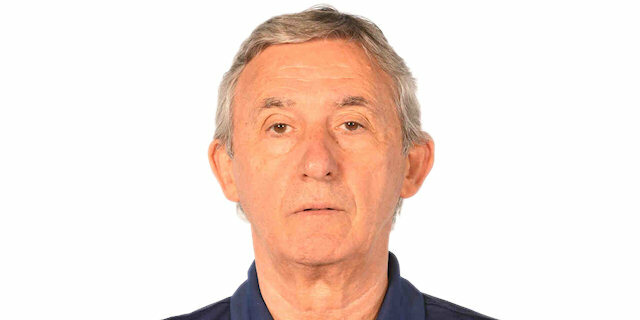 They are playing amazing this year, especially on offense, but we will talk about Efes in about 10 days."